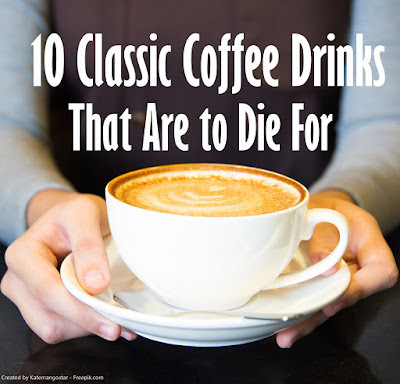 The first coffee drinks I want to share with you are staples of my everyday coffee drinking. If you haven't tried any of these yet, I suggest you do, because I think you'll find quite a few are worth coming back to again and again. 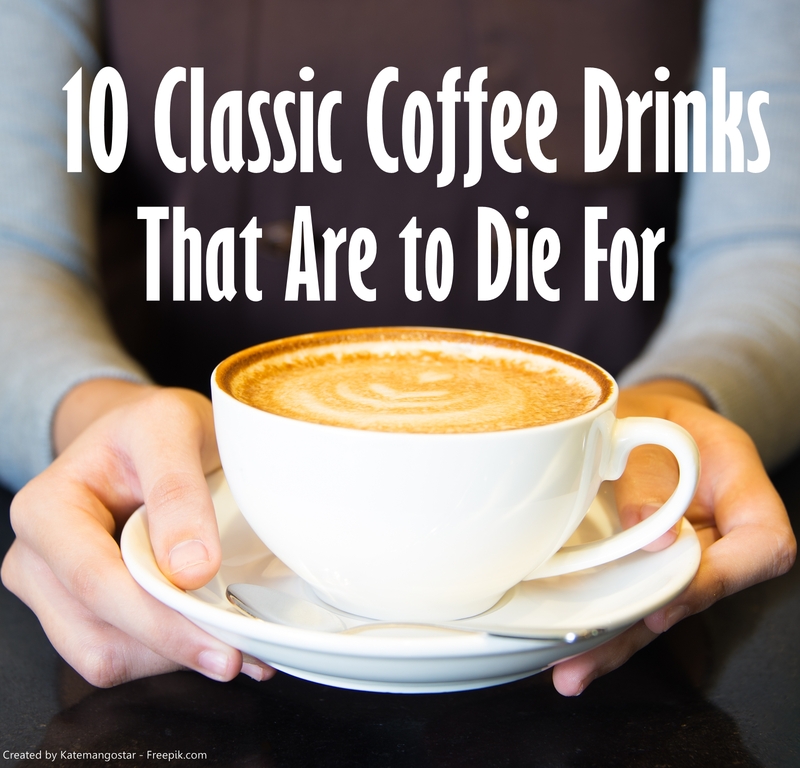 Chances are you've had iced coffee that was too sweet, creamy, or watery. As simple as it may seem, good iced coffee drinks can actually be tricky to make. A big part of making good iced coffee drinks is using coffee ice cubes. It takes an extra step of preparation, but doing so will ensure your coffee doesn't become a watered-down coffee wannabe. Another key to making good iced coffee is to brew the coffee and then let it cool in the refrigerator for at least two hours. If you use hot, freshly brewed coffee, it will melt the ice cubes instantly. 1. Pour chilled coffee into a large cup. 2. Add coffee ice cubes and sweetened condensed milk. Sweeten to taste. Fresh coffee and a bit of cream never fails to satisfy. I included this because the proportion of coffee to cream is the key to doing it right. This simple, sweet coffee is loved by coffee drinkers everywhere (who also tend to love chocolate). You can make these coffee drinks as chocolaty as you want by adding more or less cocoa powder. You can also use a chocolate-flavored creamer if you want even more of a dessert kind of taste. 1. Pour freshly brewed coffee into serving cup. 2. Stir in cocoa powder, sugar (or other sweetener), and milk. 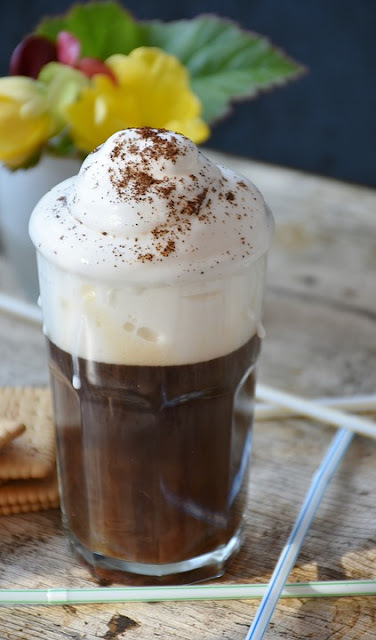 This is a lovely little variation on mocha coffee drinks that involves mixing spices into the coffee grounds before brewing. Doing this gives wonderful notes of flavor without overpowering the cup. 1. Place the grounds, cinnamon, and nutmeg in the coffee maker and brew the coffee as described in the previous chapter. 2. Once the coffee is brewed, remove the carafe from the heat plate and stir in the milk, sugar, vanilla extract, and chocolate syrup. Top with whipped cream (optional) and serve. 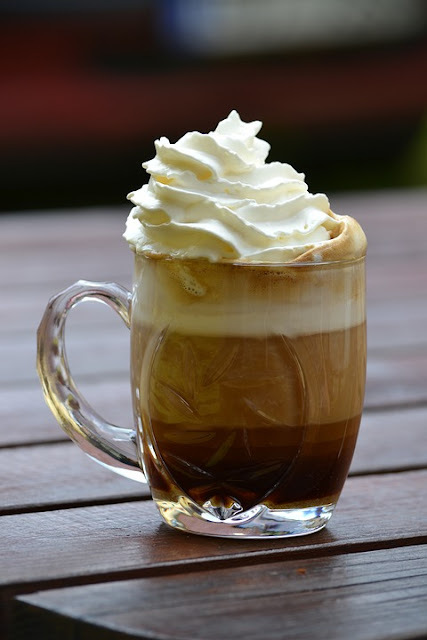 Cafe au Lait are simple coffee drinks that consists of equal parts of freshly brewed coffee and steamed milk. The key to a delicious au Lait, however, is properly "double brewing" your coffee. What's that? 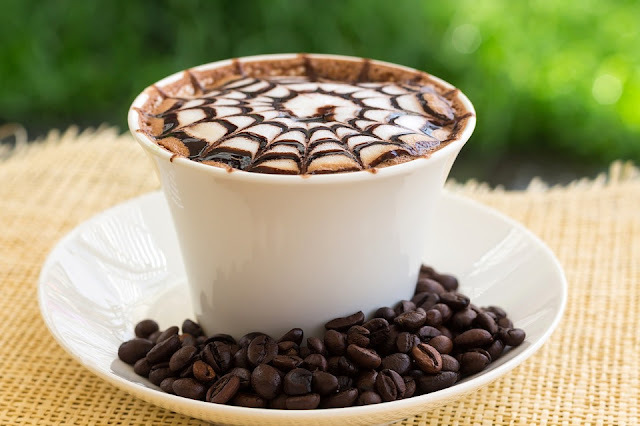 "Double-brewed coffee" is coffee prepared in such a way that it is significantly stronger than normal brewing. One way of doing this is running already brewed coffee back through the coffee maker with another batch of fresh grounds (using brewed coffee in the water reservoir). I don't recommend this method, however, because it produces strange-tasting coffee. By reheating coffee drinks, you lose flavor and the end product has a bitter aftertaste. The double-brewing method for coffee drinks I recommend is achieved by simply using twice the normal amount of grounds for the water you're using (with the normal extraction time). That is, four tablespoons of grounds for every six ounces of water. This creates coffee with a strong, bold flavor, which is perfect for the Cafe au Lait. 1. Brew the coffee and remove it from the heating plate. 2. If you don't have a machine to steam milk, heat a small saucepan over medium heat. Pour the milk into it. Heat the milk for 3-4 minutes, stirring constantly to avoid a milk crust. 3. Once the milk steams, take it off the stove and pour, at the same time, both the milk and coffee into a serving cup. A real latte is made with espresso, but this drink uses double-brewed coffee, which also makes for yummy coffee drinks. 1. Stir the sugar and vanilla extract into the coffee. 2. Pour the milk into a medium-sized jar with a lid and shake vigorously for 30 seconds. Remove the lid and microwave the milk for about 30 seconds, or until foam forms on the top. 3. Pour the milk into the coffee and spoon the foam onto the top of the beverage. Top with ground cinnamon or grated chocolate. If you love a Starbucks Frappuccino but don't love the price, why not make your own? This recipe will taste just like the real deal for a fraction of the cost. 1. Put everything in a blender and blend on high until a slushy consistency. 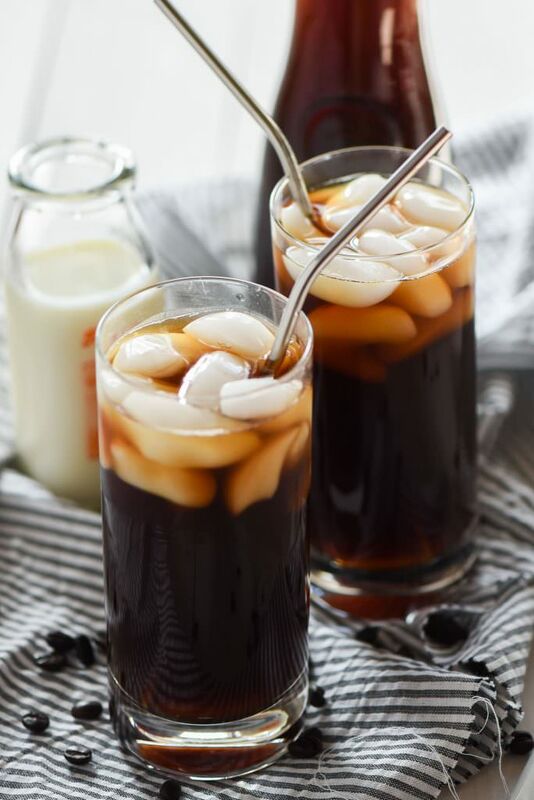 These are smooth coffee drinks, refreshing drink that's great for a hot summer day. This is a wonderfully flavorful coffee drink that can be served hot and cold (poured over ice). 1. Combine the coffee grounds, grated orange zest, cloves, and cinnamon in a small bowl and then use to brew your coffee. 2. Once the coffee is brewed, stir and top with whipped cream if desired. This is one of my favorite "dessert-in-a-cup" indulgences. Truly a drink to savor. 2. Heat the cream and chocolate in a small saucepan over low heat, stirring constantly. Once the chocolate has melted, remove from heat, pour in the coffee and stir well. Pour into a mug and garnish with whipped cream and cinnamon. 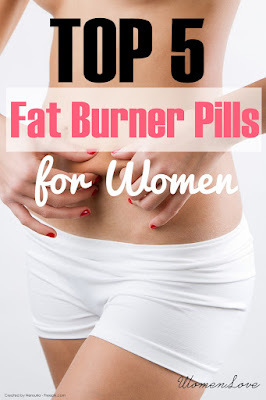 Thanks for sharing the blog.Cloma Pharma Black Spider Fat Burner in India is best supplement for weight loss.